The Los Angeles Dodgers announced their 32-game 2019 Spring Training schedule, which, per usual, begins with a matchup against the Chicago White Sox and concludes with the exhibition Freeway Series. 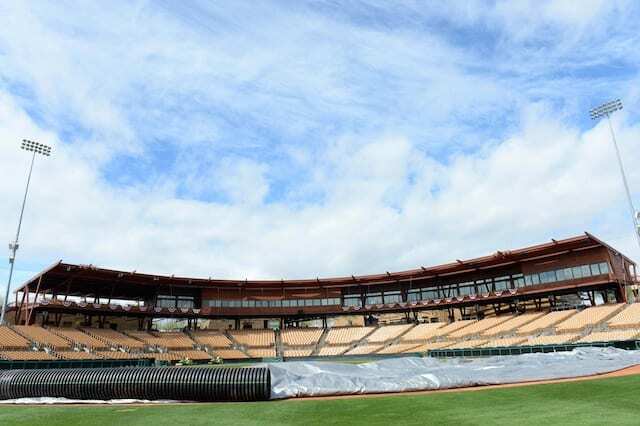 The Dodgers’ first game of 2019 is set for Saturday, Feb. 23, when they serve as the road team against at Camelback Ranch against a split-squad Chicago White Sox team. The Dodgers play 17 of 29 Cactus League games at Camelback Ranch, including 15 as the designated home team. Los Angeles has at least one home game during each of the five weekends of Cactus League play. Notable home dates include vs. the Los Angeles Angels of Anaheim on Sunday, Feb. 24; and vs. the San Francisco Giants on Monday, March 11. The Dodgers’ first night game(s) of Spring Training will be played Friday, March 1, when they are in split-squad action against the San Diego Padres (home) and Cleveland Indians (road). After breaking camp, the Dodgers will conclude their Spring Training schedule with the Freeway Series against the Angels. The three-game set begins at Dodger Stadium on Sunday, March 24, and concludes with back-to-back games at Angel Stadium on Monday, March 25 and Tuesday, March 26. 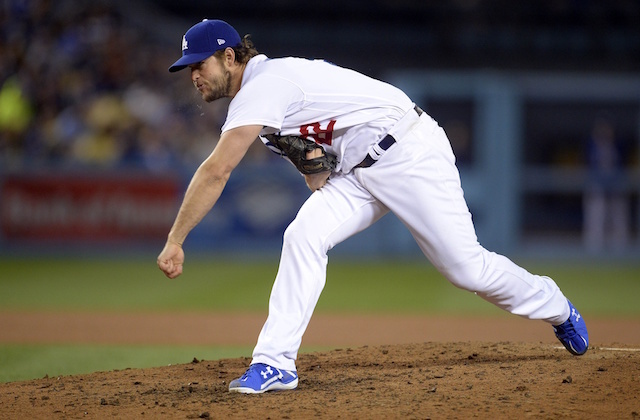 The Dodgers then begin the 2019 regular season on Thursday, March 28, by hosting the Arizona Diamondbacks in the opener of a four-game series. It’s the earliest domestic start date in MLB history. Season tickets, mini-plans and group tickets, including suites, the Eighteen|76 Legends Deck and All-You-Can-Eat Patio will go on sale on Monday, Nov. 12 at Dodgers.com/Spring or by calling 623-302-5099. Spring Training tickets start as low as $10. Single-game Spring Training tickets go on sale on Monday, Jan. 7, 2019. To be notified as soon as ticket packages are available, fans can sign up for a ticket information waiting list at www.camelbackranchbaseball.com. The club is entering their 11th year at Camelback Ranch. The property features a state-of-the-art ballpark, six practice fields on the Dodgers’ side, including a replica Dodger Stadium field, fan photo elements commemorating franchise history, walking trails, an orange grove and a five-acre lake. Saturday Feb. 23 @ White Sox Glendale 1:05 p.m.
Sunday Feb. 24 vs. Angels Glendale 1:05 p.m.
Monday Feb. 25 vs. White Sox Glendale 1:05 p.m.
Tuesday Feb. 26 @ Royals Surprise 1:05 p.m.
Wednesday Feb. 27 @ A's Mesa 1:05 p.m.
Thursday Feb. 28 vs. Rockies Glendale 1:05 p.m.
Friday March 1 vs. Padres Glendale 6:05 p.m.
Friday March 1 @ Indians Goodyear 6:05 p.m.
Saturday March 2 @ Diamondbacks Scottsdale 1:10 p.m.
Sunday March 3 vs. Rangers Glendale 1:05 p.m.
Monday March 4 @ Giants Scottsdale 1:05 p.m.
Wednesday March 6 vs. Indians Glendale 7:05 p.m.
Thursday March 7 @ Angels Tempe 1:05 p.m.
Friday March 8 vs. Royals Glendale 7:05 p.m.
Saturday March 9 vs. Mariners Glendale 1:05 p.m.
Sunday March 10 @ Rockies Scottsdale 1:10 p.m.
Monday March 11 vs. Giants Glendale 1:05 p.m.
Wednesday March 13 vs. White Sox Glendale 7:05 p.m.
Thursday March 14 vs. Reds Glendale 1:05 p.m.
Thursday March 14 @ Padres Peoria 1:05 p.m.
Friday March 15 @ Reds Goodyear 6:05 p.m.
Saturday March 16 @ White Sox Glendale 1:05 p.m.
Sunday March 17 vs. Brewers Glendale 1:05 p.m.
Monday March 18 @ Rangers Surprise 1:05 p.m.
Tuesday March 19 vs. Indians Glendale 7:05 p.m.
Wednesday March 20 @ Cubs Mesa 7:05 p.m.
Thursday March 21 @ Brewers Maryvale 1:05 p.m.
Friday March 22 vs. Diamondbacks Glendale 1:05 p.m.
Saturday March 23 vs. White Sox Glendale 12:05 p.m.